Having travelled extensively and worked abroad for many years, we have eventually retired to our lovely holiday home in Greece. 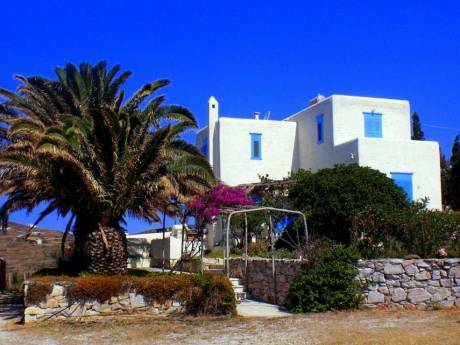 The property is an old stone house which has been tastefully renovated, with stone or wooden floors throughout. 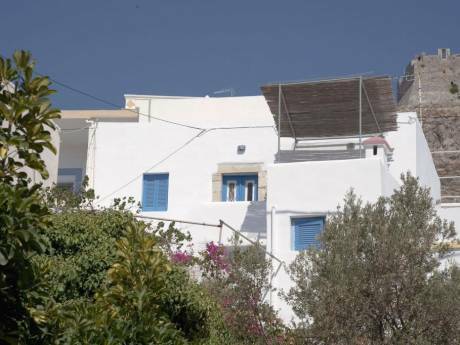 The main house, set in a small village with good road access, is extremely attractive and comfortable, and offers amazing views over mountain villages and a stunning view over the sea. We have Sky TV and there are two attractive guest houses in the grounds which provide the third and fourth bedrooms, each with their own en suite bathroom/shower-room. We have many wonderful friends and contacts in the area who would be available to offer any help and advice that should be necessary. We are an English couple who took early retirement. Unfortunately Douglas had a stroke four years into retirement. However, we have been able to continue living in our home and spend some time in England every year to visit our friends, family and grand-children. We are comfortable travelling within Europe but not farther afield. 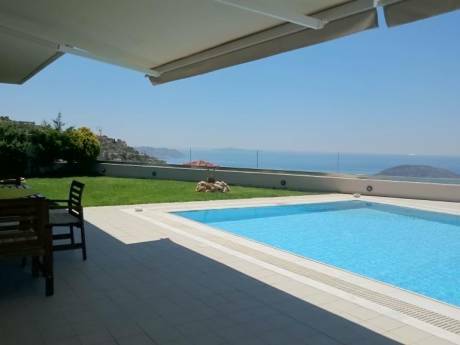 The house is in a small hamlet overlooking the sea, set in the Pelion mountain peninsula. Pelion is an area of outstanding natural beauty, with skiing up in the mountains and access to numerous beaches, some of which offer water sports and others of which are quiet and secluded, where you can swim in the clean waters of the Pagasitic Gulf or the Aegean. It is a tourist area for the more discerning traveller.